The delightful, Joanne and Greg got hitched at the stunning venue Hampton Court House in Surrey. 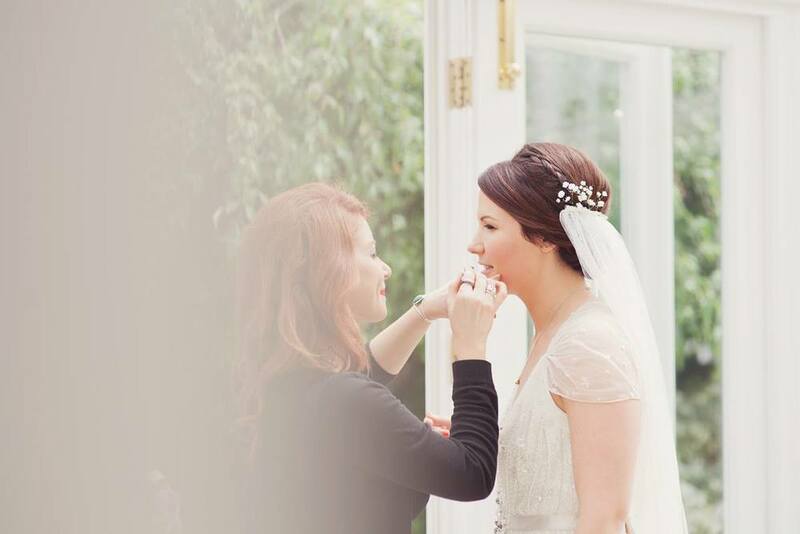 I personally didn’t get the pleasure of seeing it myself as Jo decided to get ready for her wedding at her mother and fathers beautiful home in London, but I am sure by the pictures you will get the gist of what a breath-taking venue it is. Greg and his boys got ready at the Mitre Hotel in Hampton Court. The house was filled of joy and happiness from Jo herself, family and friends. It was such a pleasurable morning. 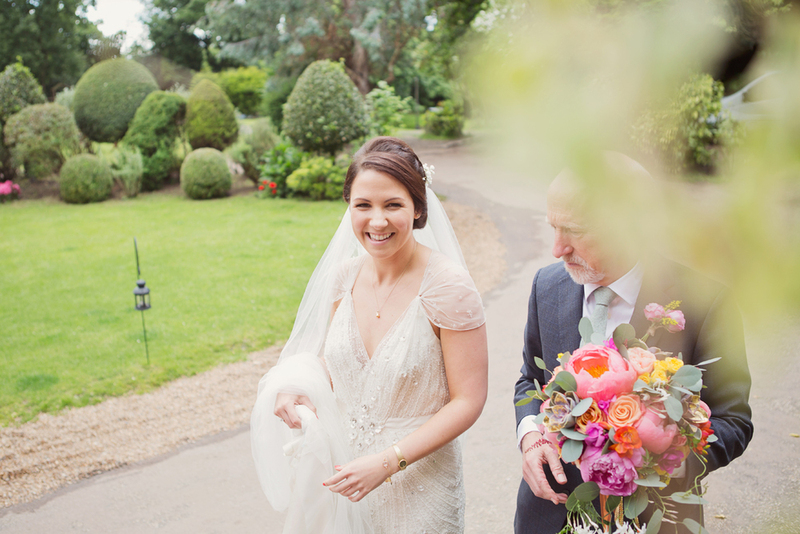 Once Jo’s make-up and hair was complete, Jo naturally, went upstairs, to slip into her beautiful dress designed by the talented ‘Jenny Packham’ on her return she was greeted by a room filled with eager eyes to witness the reveal. This is the moment, I actually shed a tear when I saw just how proud her family were, it was a beautiful yet emotional moment to all that was present. 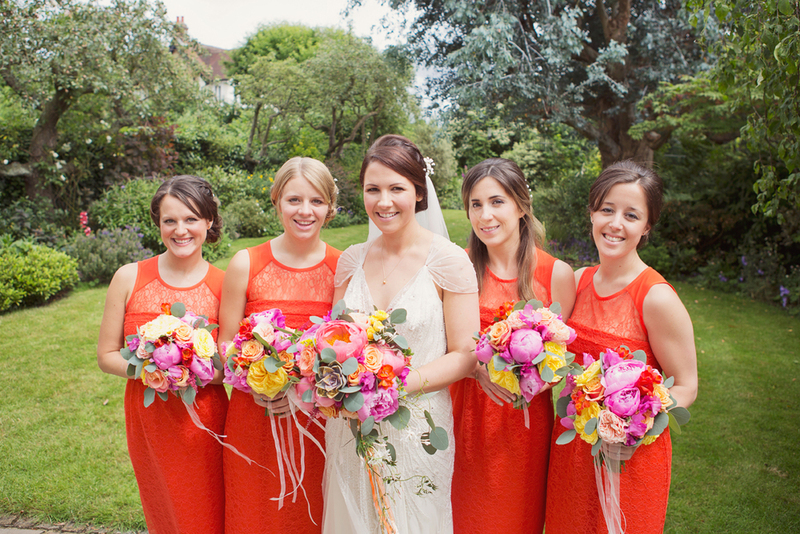 I have to say their themed wedding was filled with tropical, colours throughout including the flowers from the Fairynuff Flowers team, (a personal favourite of mine) the bridesmaids wearing cute, coral dresses and Greg, ‘Jo’s now husband’ wearing a stunning electric blue suit that was selected by Jo’s brother who hosts his own style Permanent Style with a fuchsia pink buttonhole attached to finish off the look.